Eating insects could be a way of the future, hear me out. I know what you’re thinking, as soon as I mention or start talking about edible insects people generally start to look at me like I’ve finally lost the plot, but it’s not as out there as it sounds. 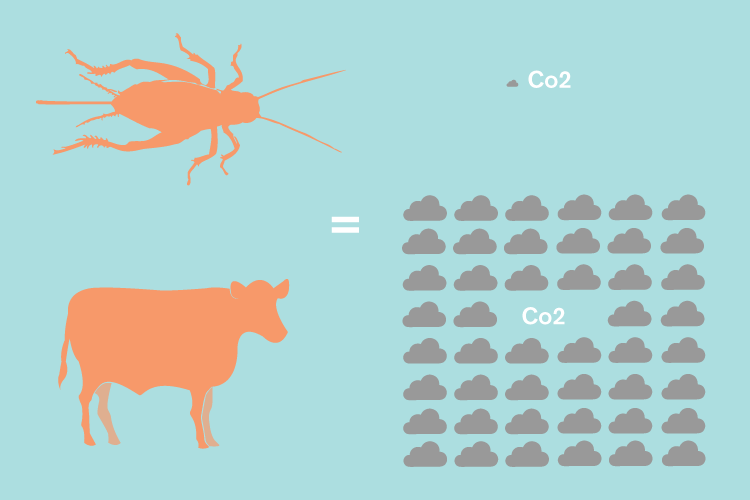 The facts are that 2 billion people in the world already eat insects as part of their diet, and the reasons behind it are not only sustainable. It is also logical. It is estimated that by 2050 earth will be home to 9 billion people which national geographic have said will raise the demand for protein by 60%. These numbers could be catastrophic for the environment when we take into consideration that grazing land for livestock already covers 26% of the planet's ice-free regions, and that livestock also produces 18% of greenhouse gas emissions, more than planes, trains and cars combined. In Australia, healthy meat consumption is defined at 65 grams per day, but the average Australian eats 130 grams of meat a day, close to double the recommended intake. 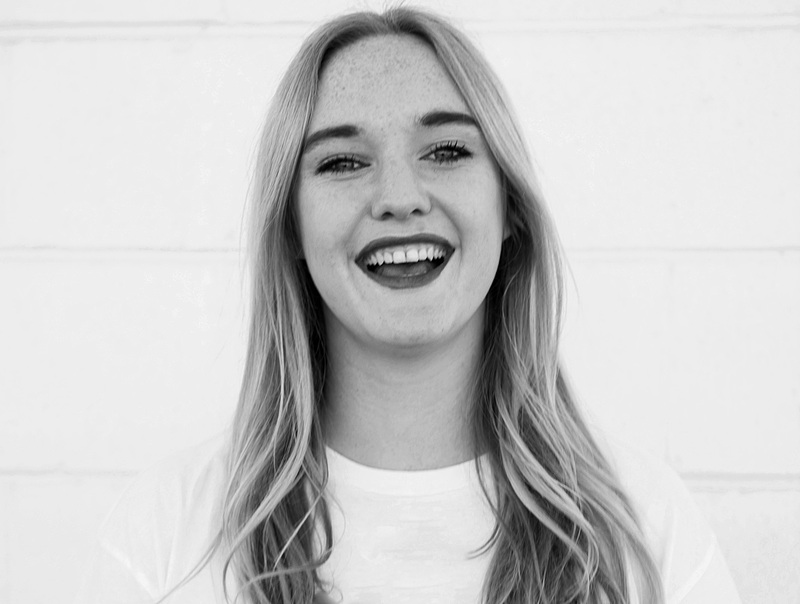 I'm not advocating for worldwide vegetarianism, because a) that would be hypocritical as I'm not a vegetarian and b) in a lot of parts of the world for cultural or socioeconomic reasons the option isn't viable, but I am advocating for reduction and smart solutions that could help us cut down on our animal product obsession. Cutting out 150grams of red meat a week can save approximately 195kg of C02 emissions per year and considering we're eating a whopping 130 grams of meat per day, that's basically one day plus breakfast the next day. In 2014 I was lucky enough to work at a sustainable restaurant with a chef called Matt Stone, his passion for food was matched only by his passion for the environment. Our first day in the restaurant we did a tasting of the whole menu, the first dish put in front of us was deep fried crickets with an Australian 7 spice. And I was thinking exactly what you thought upon reading the headline to this article, you've got to be kidding. However, after trying them (you can deep fry and spice anything to be delicious, so yes, a thumbs up) we started talking about why using insects was an important transition for agriculture. Crickets, as an example, can be bred in around 6 weeks. They take up no agricultural land and they eat waste, such as food scraps. They're also high in B12, are low in saturated fat and rich in protein. Not only do they take up only a small amount of space and boast plenty of health benefits. But they also emit a fraction of greenhouse gases as livestock and they consume less than one-fifteenth of the water per kilo of protein compared with cattle. Now, I'm not saying that if I could pick up a bag of crickets at my local farmers market that I'd be taking them home and making cricket Bolognese. But in a world where 795 million people (1 in 9) do not have enough food to lead a healthy and active lifestyle, and where the need for protein is about to rise by 60% in three decades, I do think we could start to look at ways that we can integrate low-impact protein supplements into our food culture. 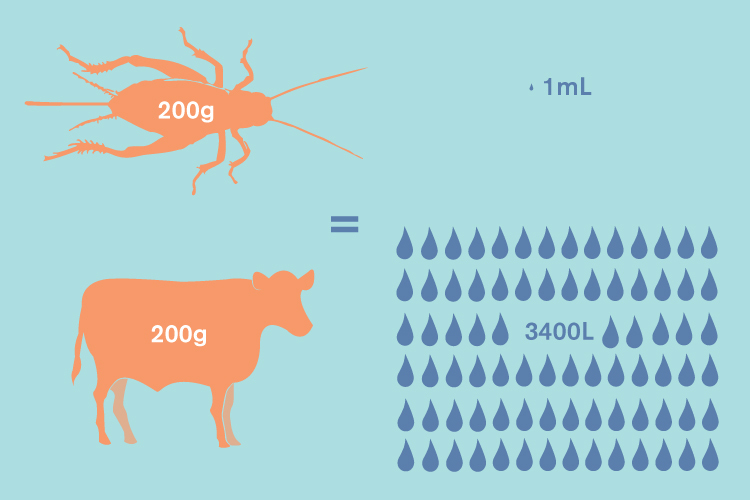 When thinking about the fact that 200 grams of beef require over 3,400 litres of water, whereas to farm the same amount of cricket meat uses less that 1 millilitre of water I do think the idea of supplementing the need for protein with insects is something we can't ignore. Now, although I stated I wouldn't grab a bag of crickets and take them home to make cricket Bolognese, I recently came across this pasta sauce, which is a Bolognese sauce that already includes ground up crickets, is the future already in front of us?